There are amazing hair products on the market, and there are those that you throw away after one use. Some work for us, some don’t. We spend so much time and money trying to find the best conditioner that will make our hair look like the one in the commercial. However, we forget an important fact. Natural beauty comes from within. Healthy hair, skin and nails need healthy food in order to grow and look radiant. Basic dietary changes can make you feel good and look good, all you need is to provide your body with the right nutrients. Here are four best foods for healthy hair. Not only are they an excellent source of proteins – essential nutrients which are basically building blocks of your whole body, including hair, but they also contain biotin and sulphur. Whereas biotin is believed to promote hair growth and prevent the loss of hair color, sulphur is necessary for the production of collagen and keratin. Choose your favorite way to prepare eggs and make your hair, skin and nails happy. Nuts can do wonders for your looks and health. Almonds, pecans, pistachios, peanuts, walnuts, and Brazil nuts are rich in good fats, vitamins, minerals and proteins, which makes them one of the best foods for healthy hair. However, this perfect go-to snack is also packed with calories, so don’t eat more than a handful in one day. 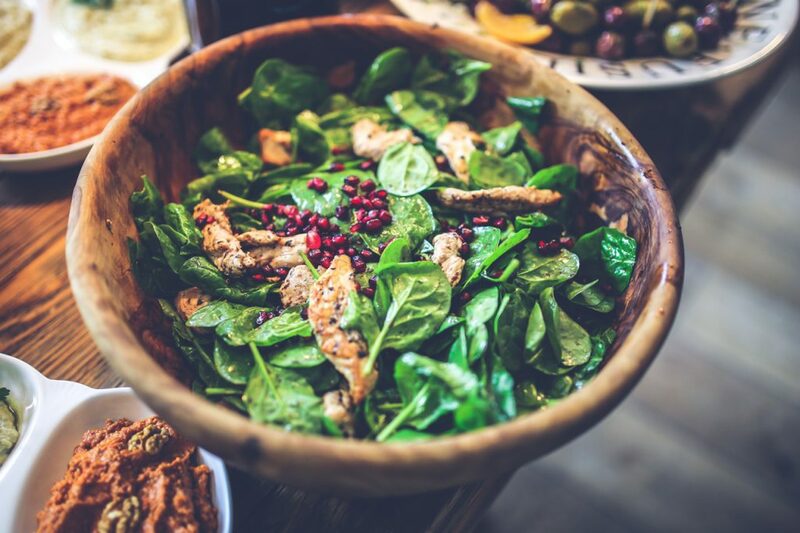 Typically not everyone’s favorite type of food and the epitome of tasty – green leafy vegetables are gold mines of the important nutrients. Not only are they vital for your health, inexpensive, and low in calories, but they can also help strengthen and thicken your hair so that you experience less breakage. A lot of people eat oatmeal in the morning – without knowing that this quick and easy breakfast food is also rich in the vitamins and minerals that your hair needs, such as zinc, biotin, magnesium and potassium. Soak oats overnight in greek yogurt and top it with fruits or nuts in the morning for a super-healthy breakfast. If you are not a big fan of leafy vegetables and oats, you can still have your daily amount of vitamins and minerals. There are hair pills which contain the vitamins and minerals that promote thick and shiny hair, such as vitamin B6, copper, folic acid, zinc, and vitamin A. One of them is CatalaseNow, a product with the powerful antioxidant Catalase enzyme and a mix of herbal, mineral and plant additives that support great hair. Click here to read more about its ingredients. This entry was posted in healthy food, thicker hair and tagged best foods for hair, best hair supplements, catalase, catalase for hair, hair supplement vitamins, hair supplements, healthy food, healthy foods, make fuller hair, natural beauty, what should i eat for healthy hair on November 22, 2016 by Nina Ivanovic. We all strive to make our hair look great. We straighten it to look silky and smooth, we curl it to get luscious locks, we dye it in vibrant colors to match our skin tone. However, trying to have better-looking hair, sometimes we end up with dry, brittle, burned hair. It’s not easy to repair damaged hair, but the least you can do is prevent further damage and condition it inside and outside. We give you five basic steps to follow in order to repair damaged hair. Or don’t do it at all. Let your hair dry naturally from time to time. This won’t restore the beauty of your hair, however, it will certainly prevent the further damage and give your hair the opportunity to rest and grow out. You might think that your hair doesn’t look as good when it dries naturally, but damaged hair doesn’t look good either. 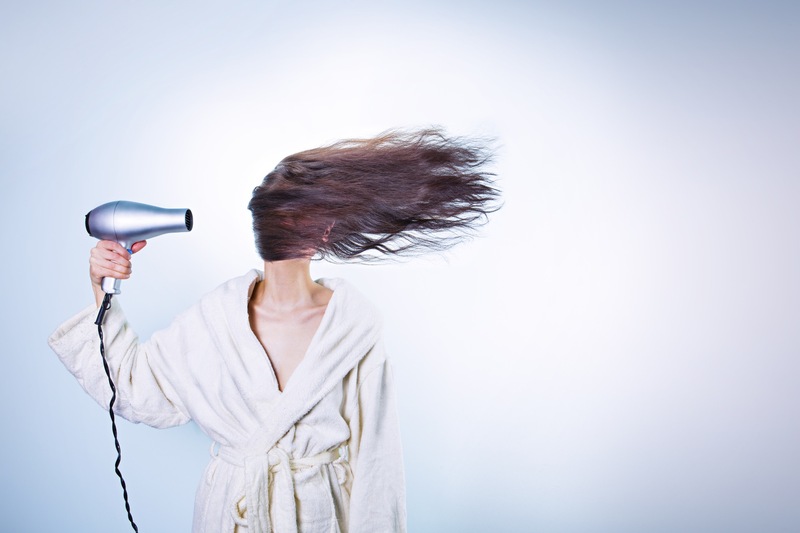 Of course, blow-drying is not the only way to damage your hair. Any kind of exposure to high temperatures and chemicals, as well as vigorous brushing and hair coloring, will just make the matter worse. If you cannot stop damaging your hair, try to reduce the number of times you do it. Switch to the darker and gentler hair color, with less hydrogen peroxide and ammonia, or just opt for a messy updo or a bun in order to avoid straightening/curling/blow-drying. Another way to protect your hair, apart from blow-drying it in a gentler way (or not at all) is to keep it away from the harmful sun rays, wind, salt water, cold temperatures, and chemicals. Whether it’s summer or winter, hide your locks under a hat, wash off salt and chemicals after swimming in the pool or salt water, and use sprays which protect your hair from the UV rays. Desperate times call for desperate measures. Soak your hair in quality conditioners, masks, and oil treatments, but avoid products with silicone, as they will make your hair look better only temporarily. Put coconut oil in your hair overnight and wash your hair in the morning as usual, and of course, top off with a nourishing deep conditioner. This is also the time when you should try to leave the conditioner or mask longer than usually. One of the best ways to restore your hair’s previous shine and repair damaged hair from the root to the ends is by providing it with the necessary nutrients, essential for the growth and maintenance. Nourishing your hair on the inside may give you long lasting results. Make sure you consume enough essential fatty acids, proteins, veggies, and nuts. In addition to that, it’s a good idea to take hair vitamin supplements, such as CatalaseNow, which contains a range of herbal, plant and mineral additives which may promote hair growth and strength. This entry was posted in hair care and tagged best hair pill, best hair supplements, catalase, catalase for hair, hair supplement vitamins, healthy hair pills, repair damaged hair on November 18, 2016 by Nina Ivanovic. People usually purchase hair supplement vitamins with one aim – to get thicker, healthier and smoother hair. However, there is more to hair supplements than that. These healthy hair pills feature a range of useful ingredients. Vitamins, minerals, and herbal additives could be beneficial for your overall health. Don’t be surprised if you notice that not only your hair is more vibrant and fuller, but you are healthier, more immune to illness and in a better mood. Here are five possible health benefits of using CataleseNow hair supplements. CataleseNow contains zinc oxide. Zinc is an important mineral which is used for keeping the immune system strong, fighting infections and alleviating common cold. Anemia is a common condition present in the individuals whose blood lacks healthy red blood cells. CataleseNow contains vitamin B6 (Pyridoxine), folic acid, and zinc, which are all known to be helpful when it comes to combating certain types of anemia. One of the CataleseNow ingredients is copper, a mineral which is crucial for an overall healthy existence. However, it cannot be produced within the body, so you have to take it from the external sources. Inadequate copper intake can lead to lower bone mineral density and increase the risk of developing osteoporosis. In addition to that, copper enhances the production of melanin and protects against graying of the hair. CataleseNow contains the herb called Fo-ti used for combating high cholesterol, as well as Barley Grass, also known for lowering blood pressure and cholesterol. It is difficult to avoid stressful situations in this busy and fast-paced world, but it’s good to know this. The studies show that one of the amino acids, L-Tyrosine (also known as just Tyrosine) can alleviate the effects of stress, especially a decline in cognitive function in response to physical stress. Apart from that, L-Tyrosine has other uses, so CatalaseNow contains this amino acid in order to improve pigmentation and protect skin and hair from changing the color. However, it is important to note that although the studies have been conducted and many users noticed the improvement, it does not mean that you should exchange hair supplements for the medicines. If you have any known medical condition, before using any dietary supplement, please consult your physician. Also, pregnant/nursing mothers and children should double check whether it is advisable for them to use vitamin supplements. To learn how CatalaseNow may promote better-looking hair, prevent hair loss and help with gray hair, please click here. This entry was posted in CatalaseNow and tagged best hair pill, best hair supplements, catalase, catalase for hair, hair supplement vitamins, hair supplements, healthy hair pills, make fuller hair on November 17, 2016 by Nina Ivanovic. Looking for natural ways to get better hair without spending too much money on hair products that might not be as good as advertised? Natural alternatives to getting thick and smooth hair are great for various reasons. With natural products you don’t pay for the brand name, you don’t get the nasty chemicals that many hair products include, and you get the very essence (why buy a conditioner with coconut oil, when you can use coconut oil?) Healthy hair is beautiful hair. The shiny and voluminous hair comes from the inside, so taking the right food and supplements will provide your hair with the nutrients necessary for it to be healthy and look good on the outside. 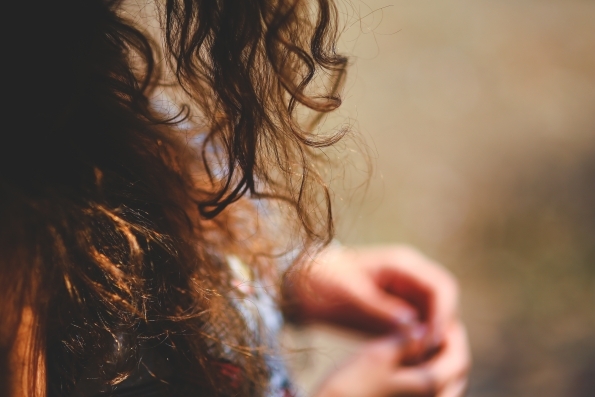 Here are five natural ways to get better hair. You are what you eat. 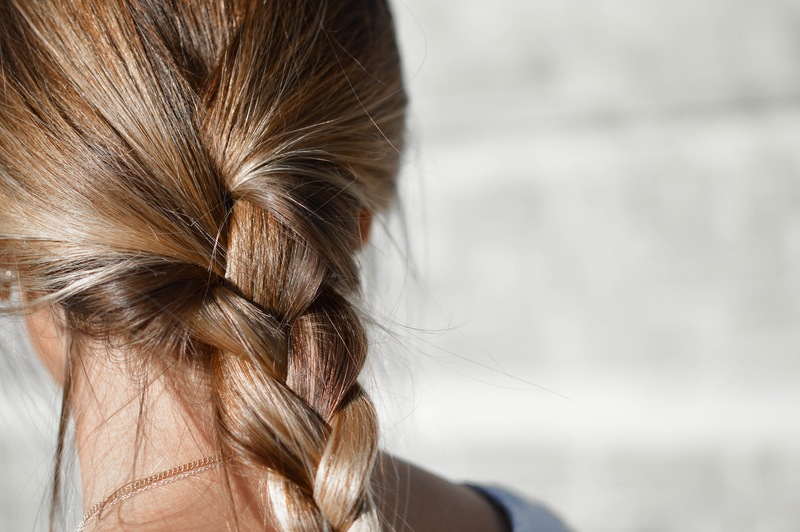 A strand of hair consists of proteins, so enough protein in your diet will provide your hair with the building blocks necessary for the hair to grow. What’s more, protein rich food usually has plenty of good fats that will make your hair silky. Make sure you consume enough organic eggs, chicken, turkey, oily fish, beans, nuts, and seeds. All these ingredients are well-known for stimulating hair growth by improving blood flow and making cuticle thicker and stronger. Add 100 ml (3.3 fluid oz) of panthenol, 30 ml (1 fluid oz) of nettle drops, and 50 ml (1.6 fluid oz) of castor oil to one liter (34 fluid oz) of shampoo. Castor oil can be very thick, so be careful not to put too much. All great ways to use coconut oil on your skin aside, this oil penetrates into the hair follicle much better than other natural oils. Also, this natural remedy for damaged hair smells better than most oils. Apply coconut oil on your scalp and dry ends, leave it to soak over night, and shampoo it as usually in the morning. If you have never succeeded in being a redhead without making your hair look like a bunch of brittle hay, henna is an old and natural way to have shiny and fierce ginger/red/auburn hair. Make sure you shop organic henna blend, without additives! Dying your hair with henna might be slightly more time consuming, but it’s worth it. It coats hair in a protective layer, so silky hair is guaranteed! As stated, thick and healthy hair comes from the inside. Hair supplements will enrich your body with additional vitamins and herbs that your hair might be missing. One of them is CatalaseNow Super Premium Vitamin which contains the super antioxidant enzyme called Catalase, and a mixture of herbal and mineral ingredients that may combat toxins and prevent hair loss and thinning. Let us know your favorite natural way for getting beautiful hair! This entry was posted in hair care, thicker hair and tagged best hair pill, best hair supplements, catalase, catalase for hair, hair supplement vitamins, healthy hair pills, make fuller hair on November 8, 2016 by Nina Ivanovic.